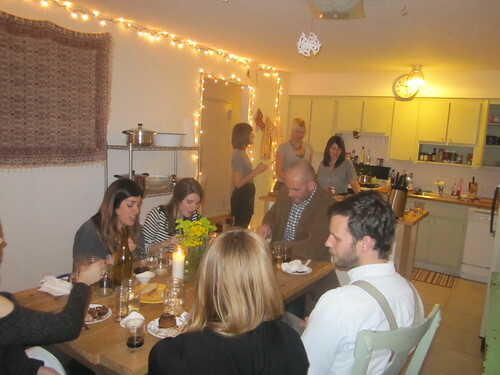 Brooklyn Fork and Spoon is a vegetarian supper club hosted in Greenpoint, Brooklyn. Everything, for the most part, can be eaten with... a fork and spoon. 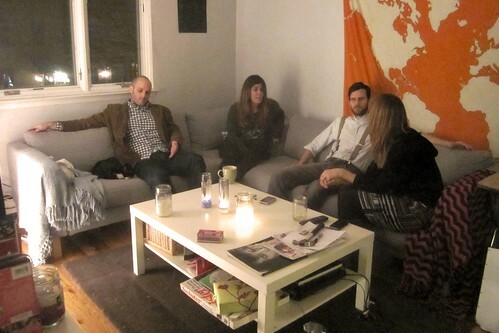 They hold eight seats, bountiful food, and endless pours of wine. 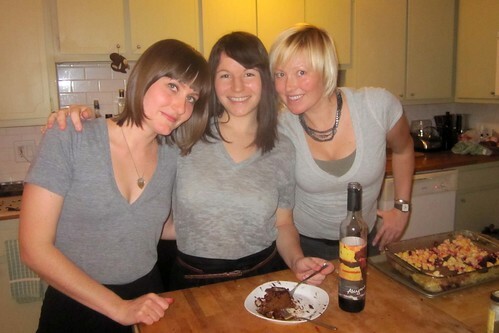 The hosts: Becka (bakes), Mardi (cooks), and Kerstin (drinks). None of the attendees for this test run were vegetarians and yet we were all pretty amazed of the depth and flavors of having a meal sans-meat. 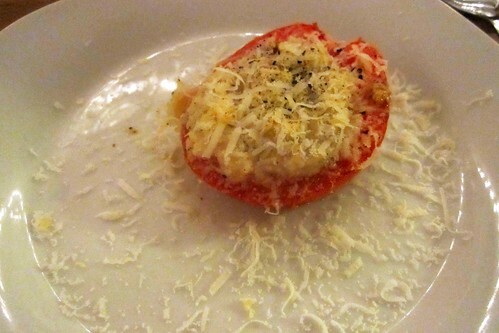 Appetizer: Roasted tomatoes stuffed with whipped white beans and rosemary. My favorite. They'll be posting recipes on Sprout&Pea shortly. 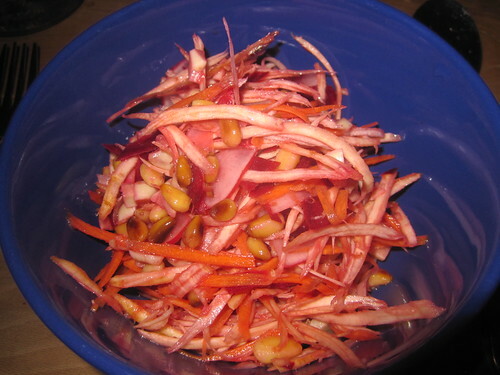 Salad: Winter root vegetable salad with toasted pine nuts and pickled garlic. Loved the colors. Toasted pine nuts rocked. Main: Mac n' goat cheese with roasted red beets and aged gouda. Picture doesnt do this plate justice. 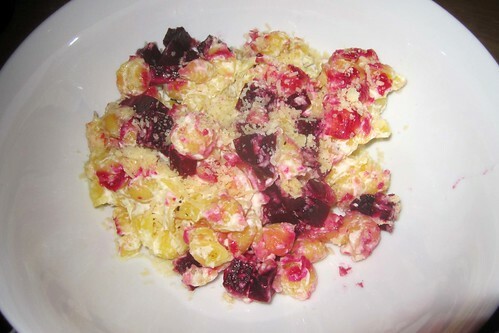 The beets really added a sweet flavor to a traditional mac n' cheese. 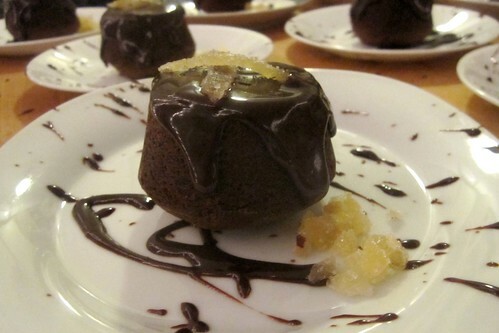 Dessert: Chocolate ganache ginger bread cakes. Who says no to chocolate? The website for Brooklyn Fork and Spoon isnt up yet, but contact eat@brooklynforkandspoon.com to be added on to their email list. Next seating is Saturday, February 12th!